From 1910 to 1919, New Orleans suffered at the hands of its very own Jack the Ripper–style killer. The story has been the subject of websites, short stories, novels, a graphic novel, and most recently the FX television series American Horror Story. But the full story of gruesome murders, sympathetic victims, accused innocents, public panic, the New Orleans Mafia, and a mysterious killer has never been written. Until now. The Axeman repeatedly broke into the homes of Italian grocers in the dead of night, leaving his victims in a pool of blood. Iorlando Jordano, an innocent Italian grocer, and his teenaged son Frank were wrongly accused of one of those murders; corrupt officials convicted them with coerced testimony. Miriam C. Davis here expertly tells the story of the search for the Axeman and of the eventual exoneration of the innocent Jordanos. She proves that the person mostly widely suspected of being the Axeman was not the killer. 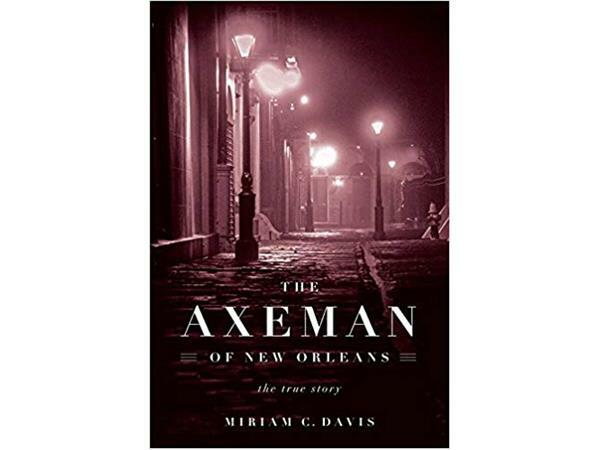 She also shows what few have suspected—that the Axeman continued killing after leaving New Orleans in 1919.